Amazon - The absolute No.1 shopping experience for baby products. Amazon is the number one online shopping experience for all your baby’s needs. Whether you are looking for a stroller, crib, baby bedding or diapers you will find everything you need at Amazon's one stop online shop. aBaby stock a variety of baby products, including cribs, cradles, bassinets, strollers, bedding and more. aBaby.com is dedicated to offering great products at low discount prices together with superior customer service. High quality kids furniture; including playroom furniture, kids bedding, rugs, wall art, curtains, books and music, kids storage and everything for your nursery.Regular sales, gift registry and wish list. 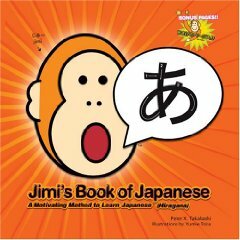 Many parents want to teach their child a foreign language. It has been said for years that young children soak up language like a sponge. Children’s TV programs such as Dora the Explorer and Sesame Street already teach basic Spanish words to preschoolers! So this would seem the perfect time. But is it? And if you want to go ahead, how is the best way to do it? Why do you want your child to be bilingual? There has been a huge surge in requests for children to begin learning a second language in preschool. This may seem extreme but research has shown that bilinguals tend to be more creative than people who only speak one language. One study suggests that if you have a second language, your brain function may stay sharper as you get older. Our world is getting smaller and global communication is commonplace. Many parents want to maximize their child’s chances of success by equipping them with the tools to deal with this situation. According to researchers, the difference between learning a first language (the person’s native tongue) and a second language is the age when that language was learned. In those who make an effort to learn a second language after puberty, most never achieve the same fluency or level of understanding in that acquired language as they do with their native language. This is in line with something called the ‘Critical Period Hypothesis’. What is the Critical Period Hypothesis? This hypothesis or theory is hotly debated among linguists and language acquisition experts. Followers of this theory believe that there is an ideal period of time to learn a language as long as the learner is in a ‘linguistically rich’ environment – i.e. one where there is constant opportunity to hear and practice the language. This hypothesis claims that if the window of opportunity is missed, then language will not be acquired. However, the ‘window’ is to achieve the best results, rather than being the only time that this can happen. The time period varies according to researchers but it is generally agreed that up until the age of six to eight is the best time. When we apply this hypothesis to the learning of a second language, there is some evidence to support it but only insofar that it is recognized that learners who are past puberty rarely achieve an accent that is as good as a ‘native’ speaker. After the age of eight, a very high standard could be achieved but with enough errors to set the speaker aside from a native one. If one or both of the parents are bilingual, then you have the perfect teaching arena. The rest of this article will be helpful for you but here are some tips that are specific to bilingual households. A Professor of Speech and Language Pathology has said that it’s a good idea to try to have only one of the parents speaking the second language to the child. This consistency helps with differentiating between the two languages. The Professor goes on to say that young children can learn at a very fast rate and if they’re learning one word for something, they can just as easily learn two. Expect some confusion! You may hear your child mixing up the word order of a sentence. Another common error is to use words from both languages in the same sentence. But don’t worry – this is a completely normal part of the learning process and one which the child will quickly learn to rectify. It’s a common misconception that if a young child is learning two languages at the same time, it can delay their speech development. Happily, that’s not the case. Your child may go through a periods where they use less ‘first language’ words than ‘second language’ ones and vice versa. However, in total, your child will probably know more words than their friends at school! Believe it or not, the ability to hear different pronunciations is at it’s height before the age of three. That isn’t so surprising when you consider that it’s the age when children are acquiring their first language. Kids of this age are actively adding to their vocabularies and starting to recognize speech patterns. You can help by listening to music in a second language, watching a TV show in that language (or one that teaches it) or just learning a few words each week. There is no substitute for hearing a language spoken by a native speaker. Find a local playgroup that has bilingual children. Hire a bilingual babysitter – that way, you get a night out and your child gets to hear the language as it should be spoken and also a chance to practice speaking it – both of which are invaluable. If you’re really, really keen, find a class in your area and enroll yourself and your child. When you’re teaching your child a new word for something, teach them two – one in each language. To be able to do this successfully and to keep a steady rate of learning, you would need to know the word in the second language, so this is more applicable to bilingual parents. Unless you are prepared to do a lot of homework! Keep your expectations reasonable and ‘do-able’. Don’t put unnecessary pressure on your child as that could be counter productive and at worst, distressing. Always praise advancement but if your child turns out not to be a natural linguist, don’t be too disappointed. Try and keep the outlook that ‘anything is a bonus’ and above all, have fun with it! Here are a few to get you started. Each link will take you to the Amazon.com page of numerous Audio CD’s, DVD’s, books and computer software for teaching your child a second language. If you would like to teach your child English, look here. The Coolest Kids Bunk Beds Ever!